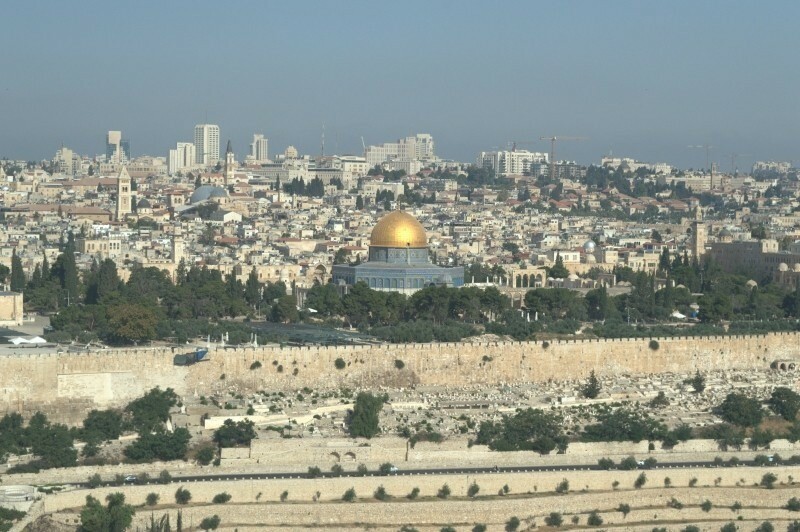 The Jerusalem Question – Does Israel have unilateral rights to declare Jerusalem as its capital? Does Israel have unilateral rights to declare Jerusalem as its capital? U.S. President Donald Trump thinks so. His controversial decision to recognize Jerusalem as the capital of Israel was, however, dealt a blow when the bulk of the United Nations (UN) General Assembly (GA) member states backed its motion to brand his unilateral move as “null and void”. The resounding condemnation against the move by the US president was delivered by 128 countries – almost two-thirds of the 193 member states of the global alliance. Only eight countries – Guatemala, Honduras, Israel, Marshall Islands, Micronesia, Nauru, Palau and Togo – supported Trump in his stance. The UK, France and Germany were among the nations who voted in favor of the motion. It is not legally binding, but its near-unanimous victory delivered an embarrassing blow to Trump. Jerusalem remains the most contested real estate in our world. Since coming to power in 2015 for the fourth time, Israeli Prime Minister Netanyahu has made Jerusalem one of the central pieces of his agenda to Judaize and grab the city, in violations of scores of international laws. He issued orders for constructing new settlements around the occupied East Jerusalem. On 23 December 2016, the United States, under the Obama Administration, abstained from United Nations Security Council Resolution 2334, effectively allowing it to pass. On 28 December 2016 U.S. Secretary of State John Kerry strongly criticized Israel and its settlement policies in a speech. Of course, with the election win of Trump, the relationship between the two states has improved significantly. As far as the Netanyahu government is concerned, it’s impossible to imagine an American White House more attuned to Israel’s concerns than Trump’s. One senior Israeli official likened Trump’s picks of pro-Israel U.S. policymakers—a uniquely favorable lineup that presents Israel with an opportunity to make strategic gains. The two leaders have quite a few things in common: their tactics, their contempt for the core values of democracy, their inherent racism (both against Muslims, with Trump adding his contempt for black people and Mexicans for good measure), their love of walls, their hatred of Iran, their scandals and, more broadly, the growing sense that both are driven more by a desperation for self-preservation than by any sense of commitment to their national interests. In October 2015, Netanyahu drew widespread criticism for claiming that the Grand Mufti of Jerusalem, Haj Amin al-Husseini, gave Adolf Hitler the idea for the Holocaust in the preceding months to the Second World War, convincing the Nazi leader to exterminate Jews rather than just expel them from Europe. This ludicrous claim has since been dismissed by mainstream historians, who note that al-Husseini’s meeting with Hitler took place approximately five months after the mass murder of Jews began. Some of the strongest criticism came from Israeli academics: Yehuda Bauer said Netanyahu’s claim was “completely idiotic”, while Moshe Zimmermann stated that “any attempt to deflect the burden from Hitler to others is a form of Holocaust denial. There is no doubt that Netanyahu tried to use one of the old dirty tricks – disinformation – to justify his untenable claims on Jerusalem. Jerusalem is very dear and sacred to Muslims for several reasons. As has been pointed out by Professor Walid Khalidi in his 1996 address at the Jerusalem Conference of the American Committee on Jerusalem, “The Prophet’s isra to and miraj from Jerusalem became the source of inspiration of a vast body of devotional Muslim literature, as successive generations of Traditionists, Koranic commentators, theologians, and mystics added their glosses and embellishments. In this literature, in which the Prophet is made to describe his visits to Hell and Paradise, Jerusalem lies at the center of Muslims beliefs, literal and allegorical, concerning life beyond the grave. This literature is in circulation to this day in all the languages spoken by nearly one billion Muslims. To this day, too, the Night of the Miraj is annually celebrated throughout the Muslim world. The memorandum of the Zionist Organization to the Peace Conference in 1919 declared, “This land is the “historic” home of the Jews.” By “historic” the Zionists meant the right of the “first occupier,” i.e., nobody inhabited the region prior to the Jews. Such an assertion, as we will see, is only a myth. For debunking this myth of “first occupier,” we shall examine the Bible. The Book of Genesis says, “And Te’rah took Abram [referring to prophet Abraham or Ibrahim (Alayhis Salam)] his son, and Lot [referring to Lut (AS)] the son of Ha’ran his son’s son, and Sa’rai his daughter in law, his son Abram’s wife; and they went out from Ur of Chaldeans in order to enter the land of Canaan.” [Gen. 11:31]; “And Abram passed through the land unto the place of Si’chem, unto the plain of Mo’reh. And the Canaanite was then in the land.” [Gen. 12:6]  The verses 13:3-7 state that the Canaanite and the Perizzite were already dwelling in the land when Abraham returned from Egypt to Bethel and set his tent between Bethel and Ha’i. Not only did the tribes with Abraham find the Canaanites but they also found the Hittites (around Hebron), the Ammonites (around Amman), the Moabites (to the east of the Dead Sea) and the Edomites (in the south-east). At the same time, there were arriving from the Aegean Sea another people, the Philistines, who installed themselves between Mount Carmel and the desert. The modern-day Palestinians are, indeed, descended from indigenous Canaanite Jebusites who lived in Palestine at least 5000 years ago, from the Philistines (who gave the country its name – Palestine, Arabic for Falastin), and from the Persians, Greeks, Romans, Arabs and the Turks who successively occupied the territory, following the Babylonians, the Hittites, and the Egyptians. The “first occupiers” are these inhabitants who have inhabited the territory since the dawn of history. And any reference that the Palestinians are descendants of Muslim Arabs (from the time of Muslim conquest of Jerusalem) is disingenuous and is aimed at denying their ancestral tie to the land for five millennia. From the accounts in the Bible, it is clear that the Children of Israel did not establish themselves in the Holy Land until around 1004 BCE when David [Dawud (AS)] of the tribe of Judah defeated the Jebusites to found a kingdom there. He created a multi-national state, embracing peoples of different religions. His own ancestress Ruth was a Moabite. His son Solomon [Sulayman (AS)], who succeeded the throne, was born of a Hittite mother. Solomon, like his father, maintained the multi-national characteristics of his regime. He built a stone temple, commonly known as the Temple of Solomon, as a gesture of his thanks to Allah (YHWH). After Solomon’s death, the kingdom got divided into two -” the Kingdom of Israel in the north (comprising the ten tribes) with the capital in Samaria, and the Kingdom of Judah in the south (comprising the two tribes) with capital in Jerusalem. In 722-721 BCE, the Kingdom of Israel was invaded by the Assyrians and its people scattered, who came to be known as the “Ten lost tribes of Israel.” In 586 BCE, the Babylonians under the leadership of King Nebuchadnezzar annexed the southern kingdom of Judah. The country’s notables were exiled to Babylon. Jerusalem was ravaged to the ground, along with its temple and fortifications. When Emperor Cyrus (Dhul Qarnain of the Qur’an) of Persia defeated the Babylonians in 538-537 BCE, he let the exiles to return to Jerusalem. Many Jews, however, preferred to remain in more prosperous Babylon. Next, we come to the period of the Maccabean revolt. After a twenty years’ struggle, the Maccabees were able to form the Hasmonean dynasty in 164 BCE. This broke up owing to internal conflicts and in 63 BCE Roman General Pompey was able to conquer Palestine, which first became a vassal monarchy under Herod, and then a Roman province. Under Herod, Jerusalem was rebuilt and the second temple (known as the Temple of Zerubbabel) elaborated (from 17 BCE to 29 CE). However, during the failed revolt (66-70 CE) by the Hebrews, the city was blockaded by Roman General Titus who completely razed it to the ground and burned the temple in 70 CE on the 9th day of the Hebrew month of Ab, the very month and day on which 657 years earlier Nebuchadnezzar had razed the first Temple. (The Qur’an briefly mentions these two destructions of the Temple in Surah 17:4-7.) The Jewish inhabitants were exiled or sold into slavery. After the failed second revolt (132 CE), led by Bar Kochba, the city was renamed Aelia Capitolina in 135 CE and Jews were banned from entering the city. And since then Jews gradually moved away from Palestine. In 326 CE, Emperor Constantine the great ordered the building of the Church of Holy Sepulcher in Aelia. In 614-615 CE Khoshru II of Persia captured the city by defeating the Roman (Byzantine) Christians, mention of which is found in the Qur’an (30:2-3): “The Romans have been defeated in a land close by: but they, (even) after (this) defeat of theirs, will soon be victorious within a few years, with Allah is the command in the past and in the future: on that day shall the believers rejoice.” His forces destroyed many buildings. Just as the Qur’an had prophesied, the Romans defeated the Persians in 628 C.E, under Heraclius, and reentered Aelia. When Umar (R) entered Jerusalem, (what is now known in the West as) the Temple Mount lay vacant. The Christian Byzantines had used it as a garbage dump [to offend the Jews]. But to the Muslims, it contained the Rock hallowed by the Prophet Muhammad’s (S) Isra’ and Mi’raj (the Prophet’s nightly journey to Jerusalem and ascension to heaven with Angel Jibril (AS)). The most obvious reflection of Islam’s reverence for Jerusalem is in its architecture. During the Umayyad rule (660-750 CE) Jerusalem flourished to become a major city, and from this period, important buildings survive. The Umayyad Khalifa Al Walid later completed the construction of the al-Aqsa mosque in 715 CE. His father Caliph Abdul Malik bin-Marwan constructed the “Dome of the Rock” Masjid al Quba as-Sakhra (visible with gold dome) on the Haram al-Sharif earlier in 688-691 CE (68-71 AH). These two mosques became essentially the most visited mosques in the entire Muslim world outside the Ka’ba and Masjid an-Nabi in Arabia, and grace the city of Jerusalem to this very day. “O race of Franks! race beloved and chosen by God! … From the confines of Jerusalem and from Constantinople a grievous report has gone forth that an accursed race, wholly alienated from God, has violently invaded the lands of these Christians, and depopulated them by pillage and fire. … The kingdom of Greeks is now dismembered by them, and has been deprived of territory so vast in extent that it could not be traversed in two months’ time. Comparing Saladin’s behavior with those Christian Crusaders, the historian Anthony Nutting writes: “Apart from restoring the holy places of Islam, Saladin allowed not a single building to be touched. As Christian historians have attested, strict orders were issued to all Muslim troops to protect Christian life and property and not a single Christian was molested on account of his religion – a remarkable contrast to the atrocities perpetrated by the Franks eighty-eight years before.” It is worth mentioning here that while the Crusaders, when they entered Jerusalem, burned Jews in their synagogue Salahuddin, after recovering the city, had allowed Jews to return. In 1517 the Ottomans took over Jerusalem peacefully. Sultan Suleiman “the magnificent” (1537-41) rebuilt the city walls (un-walled since 1219) including the present day 7 gates (what is now known as the Old City) and the “Tower of David.” He further improved the city’s water system, installed drinking fountains still visible in many parts of the Old City. He also patronized religious centers and educational institutions. A Jewish colony “Safaradieh” was formed in 1522 in Palestine. The Ottomans granted religious freedom to all and it was possible to find (something that was unthinkable in Europe) a synagogue, a church and a mosque in the same street. With the defeat of the Turkish Army during the World War I (1914-18), British General Edmund Allenby took control over Jerusalem. Upon entering the city on 11 December 1917, he declared, “Now the Crusades come to an end.” As a matter of fact, it was the beginning of the end, i.e., marshaling of a neo-crusade against Muslims by using Israel as a ‘rampart’ in the Muslim heartland. In 1917, Britain issued the infamous Balfour Declaration promising the Zionists establishment of a Jewish national homeland in Palestine. The Declaration was criminal to the core as historian Arthur Koestler so aptly described: “One nation solemnly promised to give to a second nation the country of a third nation.”  With that goal in mind, during the devious British Mandate (1917-47), Jews were pumped into Palestine from all over Europe. Despite such Jewish influx, according to a census taken by the British on 31 December 1922, there were altogether 83,000 Jews in Palestine out of a total population of 757,000 of which 663,000 were Muslims. That is, the Jewish population was only 11%. According to Professor Walid Khalidi, the international zone comprising “Mandatory municipal Jerusalem” in addition to some 20 surrounding Arab villages had a slight majority of Arab population who numbered 105,000 while the Jewish population was just under 100,000. Academic research works by Salim Tamari (director of the Institute of Jerusalem Studies and a professor in the Department of Sociology and Anthropology at Birzeit University) and others present a similar picture. They point out how Zionist historiographers deliberately avoided accounting for Arab neighborhoods in their demographic studies of Jerusalem while concentrating mostly on Jewish suburbs. Soon after the unilateral declaration, in a subsequent war with neighboring Arab states, Israel captured 78% of original Palestine by annexing territories set for the Arab Palestinian state, leaving only East Jerusalem, the West Bank and the Gaza Strip in Arab hands. This cataclysmic event forced 750,000 Palestinians to seek refuge elsewhere. On June 5-10, 1967 Israel launched an offensive against neighboring Arab states and captured East Jerusalem, West Bank and Gaza, plus the Sinai and the Golan Heights. Most Jews celebrated the event as a liberation of the city; a new Israeli holiday was created, Jerusalem Day (Yom Yerushalayim), and the popular Hebrew song, “Jerusalem of Gold” (Yerushalayim shel zahav), became popular in celebration. Between 1949 and 1967 scores of Palestinian towns and more than 400 Palestinian villages were destroyed by Israel. In the first flush of victory in the 1967 war, Ben Gurion wanted the magnificent walls built by the Ottomans that surround the “Old City” destroyed because they were such a powerful reminder of the Islamic character of the city. Most of the Israeli government buildings in Jerusalem including the Knesset are built on the Palestinian-owned land. In defiance of the international community, Israel wasted no time in declaring the city of Jerusalem as its “eternal, undivided” capital. This meant that it extended its law to East Jerusalem and claimed it as part of Israel, a move that no country in the world recognized, including up until recently the US, citing the international law which states that an occupying power does not have sovereignty in the territory it occupies. In 1980, Israel formalized its annexation of the eastern half of the city when it passed the Jerusalem Law, claiming that “Jerusalem, complete and united, is the capital of Israel”. In the 1967 census, the Israeli authorities registered 66,000 Palestinian residents (44,000 residing in the area known before the 1967 war as East Jerusalem; and 22,000, in the West Bank area annexed to Jerusalem after the war). Only a few hundred Jews were living in East Jerusalem at that time. The Israeli Occupation Forces (IOF), since the annexation of East Jerusalem, have embarked on a “Judaization” policy that entails constricting building permits to local Arabs to build houses on their ancestral land, withdrawing residency permits, demolishing Palestinian homes and mosques, and building illegal settlements. One of the first moves was to demolish the Maghariba quarter in order to enlarge the prayer area next to the Wailing Wall. One hundred and twenty-five Arab houses were destroyed in the process. Since its occupation, Israel has demolished hundreds of Palestinian-owned homes. Last year, some 88 homes were destroyed, leaving 295 people without shelter. Over the past decade, more than 2,600 people have been rendered homeless after their houses were demolished. Since 1967, Israel has revoked the residency status of 14,595 Palestinians in Jerusalem. Palestinian holders of the Jerusalem IDs live under the constant threat of residency revocation. The Jewish settler population in East Jerusalem has also multiplied accordingly. In 2000, it was estimated to be close to 180,000. In 2003, 217,000 Palestinians shared East Jerusalem with 200,000 Jewish settlers. Of these, 66,500 were in the Greater Jerusalem area of Ma’aleh Adumim, Givat Ze’ev, Betar Elite, Har Adar, Efrat and part of the Etzion Bloc. Today, 86 percent of East Jerusalem is under the direct control of the Israeli authorities and Jewish settlers. Around 200,000 settlers live in settlements that have been mostly built either entirely or partially on private Palestinian property. Worse still, Israel has constructed a wall to separate Jewish illegal settlements from Palestinian neighborhoods. This apartheid wall, which Israel started building in 2002, snakes through the West Bank territory, dividing villages, encircling towns and splitting families from each other. Moreover, Israeli lawmakers are now making moves to annex three large settlement blocs in the occupied West Bank to the Israeli-defined boundaries of Jerusalem. The so-called “Greater Jerusalem bill” would see the addition of 140,000 Jewish Israelis who live in these settlements to the population of Jerusalem, to ensure a Jewish majority in the city. With the approval of new construction permits for Jewish settlements, the demography of Jerusalem in its 50th anniversary of statehood and beyond is bound to change steadily. The Israeli government has succeeded in applying Jerusalem’s religious symbolism to vast areas that have nothing to do with historic Jerusalem. So, e.g., over half of what we call Jerusalem today was not part of the city pre-1967 but were parts of Bethlehem and 28 other West Bank towns. In today’s Israel, even the dead are not safe from desecration. For example, during Olmert’s tenure as the mayor of Jerusalem, Islamic burial places in West Jerusalem ‘Ma’man Allah’ (or colloquially Mamilla), measuring some 250,000 square meters, were turned into building plots. The Sheraton Plaza Hotel, Supersol supermarket, Beit Argon building and the adjacent car parking lot are all built on this Islamic Waqf owned land which was used by Muslims as their burial place in Jerusalem until 1948. What remains of this Muslim cemetery is being used as an open park, courtesy of Jerusalem mayors. Moreover, Palestinians in Jerusalem are required to pay taxes, such as the national insurance tax, for services they barely receive. This is in contravention of international law, which considers East Jerusalem as occupied territory and thus, Israeli law should not be applied to the area. The Arnona municipal tax has been imposed on residents of the city since 1967. It is widely seen as a form of discrimination as it affects Palestinians disproportionally. With the rates highest for East Jerusalem, Arnona taxes can exceed the annual rent of low-income families. Businesses are also subject to Arnona taxes. The rate applicable to each business correlates with the size of the property and not its economic revenue. The system has strenuously placed pressure on Palestinians, forcing many to relocate to the occupied West Bank. The 1993 Oslo Accord left the future of Jerusalem to be determined later through serious negotiation. At Camp David in July 2000 and later at Taba, Israeli negotiators considered allowing some sovereignty to the Palestinian state over Arab areas of East Jerusalem but no agreement was reached. The Palestinian side was ready to concede Israel’s claim to West Jerusalem of which Palestinians had privately owned 40 percent in 1948. The final negotiation fell flat on the status of Haram al-Sharif. But more problematic was the apparent arm-twisting of the Palestinian negotiators by their US counterparts to appease the Israelis. It failed to give importance to the legal arguments, i.e., who owned/owns what property. Just because Barak “conceded” more than any other Israeli government does not mean that it was just or fair. In the post-Clinton era, nothing significant has been done to settle Jerusalem’s long-standing problem except President Bush’s announcement of the so-called “Roadmap” for the creation of a Palestinian state, which aimed more at getting the necessary cooperation from his Arab client states before toppling Saddam than establishing the groundwork for real peace or finding a just solution to the Israeli-Palestinian problem. As subsequent events had proved, Bush Jr. administration gave a Carte Blanche endorsing Israel’s war crimes inside Gaza. Between 2001 and 2008, the US vetoed 9 times in the UNSC on resolutions critical of Israel on the Palestine question. Instead of disciplining Israel for its plethora of crimes, the Obama administration in September 2016 rewarded the pariah state with a whopping $38 billion military aid package, the largest given to any state anytime in US history. It was a criminal gesture, which only emboldened Israel to expand its settlement activities. The Obama administration in its last days, as if out of some moral bite of conscience, stood by as the U.N. Security Council voted in December 2016 to adopt a resolution declaring Israeli settlements in the West Bank, Gaza Strip, and East Jerusalem illegal and demanding a halt to their expansion. The abstention was the first time the Obama administration stepped aside and allowed the Security Council to censure Israel. Speaking after the vote, Samantha Power, U.S. Ambassador to the United Nations, defended the abstention, comparing it to policies of Republican and Democratic administrations dating back to the Reagan administration. “Israeli settlement activity in territories occupied in 1967 undermine Israel’s security, harm the viability of a negotiated two-state outcome, and erode prospects for peace and security,” Power told the council after the vote. “We could not in good conscience veto the resolution,” Ben Rhodes, White House deputy national security advisor for strategic communications, added. The president-elect Donald Trump blasted the U.N. and the Obama administration after the vote. Trump tweeted, “As to the U.N., things will be different after Jan. 20th,” after the UN vote. Surely, with Trump in the White House now, Netanyahu has a narcissist, delusional and psychopath to lean on to! On December 17, 2017, a UN security council resolution calling for the withdrawal of Donald Trump’s recognition of Jerusalem as Israel’s capital has been backed by every council member except the US, which used its veto. As can be seen the US support inside and outside the UN has been crucial for Israel to defying world opinion and international law, and maintaining its apartheid character. Colonialists have always sought a rationalization for their criminal annexations, robberies and authority. And what a better way than to claim being “God’s Chosen People” or belonging to a “Superior” race? Are we, therefore, surprised at the remarkable similarity between Zionist claims and Vorster’s (late Prime Minister of the Apartheid regime in South Africa in 1972) assertion about justification of apartheid when the latter said, “Let us not forget that we are the people of God, entrusted with a mission”? Zionists often invoke the Book of Genesis (15:16), which states: “In the same day the LORD made a covenant with Abram, saying, unto thy seed have I given this land, from the river of Egypt unto the great river, the river Euphrates.” So, which “seed” or son is meant here? Is it Ishmael – the firstborn, or Isaac (the son of Sarah) – the father of Jacob? What we know from history is that this “promise” was only fulfilled through the Arab descendants of Ishmael – firstborn son of Abraham – who was the forefather of Muhammad (S), and not ever by any descendant of Isaac – the second son of Abraham (AS). Period! Sadly, political Zionism has betrayed Judaism and perverted Christianity. The same church that once labeled Jews as “Christ-killers”, as the “rejected” or “forsaken people”, now calls them the “Chosen people.” They are now its best friends, more zealous than many Israelis in their support for the rogue state. It is really strange! I wish the Christian motivation was genuine and not simply to gather them as the sacrificial lambs for the ‘coming Armageddon’! The entire policy of the state of Israel, internal or external, has been a colonial enterprise, but it wears the “chador” (cloak) of pseudo-theological myth. From its beginning to the present, Israel has always been a racist, colonial state. The father of modern Zionism, Theodor Herzl remarked, “Universal brotherhood is not even a beautiful dream, antagonism is essential to man’s greatest efforts.” [Jewish State, (1897)] Contrary to this view, the greatest minds ever in the history of mankind – from Moses to Jesus to Muhammad (S) – spoke of universal brotherhood to be the solution. This remark rightly shows the sick mentality of this founder of Zionism. As a matter of fact, the Zionists – Jewish or Christian alike – are morally wrong. In his Diary, Theodor Herzl writes about the establishment of a Jewish state: “We should form there a portion of the rampart of Europe against Asia, an outpost of civilization as opposed to barbarism.” Here, it clearly shows his colonial, racist mentality. He first disregards the rights of the indigenous inhabitants of the Arab Palestinians, and then dehumanizes them by calling them barbarians. The history of the Zionist, apartheid state of Israel since its unholy birth has exhibited its “rampant” characteristics rather too well! It is also not difficult to understand the brutal measures employed by the racist leaders of Israel against unarmed Palestinian teens. Israel is an apartheid state with over 50 laws on the books that sanction discrimination against the Palestinian people. Palestinian homes and land are routinely bulldozed to make way for illegal Israeli settlements. Israeli soldiers also regularly arrest and detain Palestinians as young as 4 years old without due process. Every day, Palestinians are forced to walk through military checkpoints along the US-funded Apartheid Wall. The killing of Palestinians does not raise the eyebrows of most Zionists today. After all, the victims have been dehumanized with statements like those of the Israeli Deputy Minister of Defense, Eli Ben-Dahan in 2013 that stated that: “[Palestinians] are beasts, they are not human”. Racist ideologies within Israel’s criminal justice system and military have made crimes against dehumanized Palestinians look justifiable in the eyes of its bemused followers and executioners! In the last week of December 2017, we learned that Israeli army mistakenly thought it had thwarted a terror attack when it shot a 15-year-old Palestinian teen in the head. “The bullet entered from the back of his neck and exited through the eye socket, shattering his head and face. A single bullet fired by an Israel Defense Forces soldier lurking in ambush with his buddies in the shade of olive trees. The soldier sees the person approaching the fence, unarmed, not endangering anyone, a slim teenager, dozens of meters away – but still shoots him in the head with live ammunition, wounding him seriously, destroying his life and that of his family, probably for all time. At first, the IDF claimed that the soldier had thwarted a knifing attack, and later that the teen had ‘put his hand in his pocket in a suspicious way.’ In the end, it turned out that the Hamed al-Masri hadn’t done anything wrong at all,” reported Gideon Levy and Alex Levac from Israel. Thanks to the culture of impunity, such trigger-happy incidents are not exceptions but are norms in Apartheid Israel. What a betrayal of Jewish moral codes! From the above discussion, we see that the so-called Children of Israel far from being the first settlers in Palestine were only one group among many others. The total period of Jewish rule or sovereignty over Palestine, in general, and Jerusalem, in particular, before the establishment of the modern Jewish state was only about 400 years, and this period is much shorter a period compared to the period of Muslim rule. As a matter of fact, in its entire history, no other religious community had ruled Palestine or Jerusalem for a longer period. The myth of political rights of the Jews over Palestine is, thus, not substantiated by history. In the pre-1948 period, Jews returned to Palestine primarily because of persecution (esp. the Jewish Holocaust) in Europe, and least from any yearning for the ‘homeland of their ancestors.’ Had it not been for the generosity of Muslim rulers since the days of Saladin they could not have found refuge among Muslims, and surely not in Palestine. Only under Muslim rule the sanctity of Jerusalem – as a spiritual center of three monotheistic religions – was upheld. If theology were to be the basis for occupying land, then Muslim claims for Jerusalem is stronger than those of Jewish (and Christian) claims. Contrary to the myths now spread by Zionists, Jerusalem was always important to Muslims and that during the Muslim rule it never declined to the point of being in shambles. Its importance has not dwindled a bit amongst Muslims. Israel through its actions in post-1967 era has shown that it cannot be trusted for guardianship of Muslim shrines there. More importantly, East Jerusalem, including its Muslim holy places, is not the patrimony of any Arab incumbent in whatever Arab capital he or she may be, but that of nearly 1.7 billion Muslims and of the Arab people of Palestine. Trump’s preposterous Jerusalem declaration in December 2017 was like a Christmas presentation to his Judeo-Christian Evangelical base and a Hanukkah present to the extremist Zionists like Sheldon Adelson and Benjamin Netanyahu who believe that the recognition of Jerusalem as Israel’s capital would pave the way for the construction of a Third Jewish Temple in the same place the Second Temple had been before it was demolished in 70 CE by the Romans. Not surprisingly, some Jews and Judeo-Christians see Trump’s announcement – and, in fact, Trump himself – as hastening the long-awaited coming of the Messiah. To be sure, Trump did little to dispel the sense that something of biblical significance was, in fact, taking place. But just as the Haaretz has questioned: whose Messiah is Trump hastening? Is it the fundamentalist Israeli vision of a return to a Jewish kingdom and priesthood reminiscent of the Old Testament? Or is it the Evangelical belief in the return of Jesus Christ and the conversion of all the Jews to born-again Christian doctrine and faith? Nonetheless, Trump’s decision is sure to bolster the extremist Zionists with their criminal land-grabs further worsening the Palestine-Israel crisis. As part of the payback, Israel’s transportation minister is pushing ahead with a plan to dig a railway tunnel under Jerusalem’s Old City, passing near sites holy to Jews, Christians and Muslims — and ending at the Western Wall with a station named after Trump. Digging railway tunnels to the Western Wall would also entail excavating in Jerusalem’s Old City, where religious and political sensitivities — as well as layers of archaeological remains from the city’s 3,000-year history — could make for a logistical and legal quagmire. The status of Jerusalem as the ‘undivided capital’ of the State of Israel is unacceptable. The General Assembly revisited the question of Jerusalem many times. In its fifty-fifth session, in a resolution adopted on 1 December 2000, the Assembly determined that the decision of Israel to impose its laws, jurisdiction and administration on the Holy City of Jerusalem was illegal and, therefore, null and void. The Assembly also deplored the transfer by some States of their diplomatic missions to Jerusalem in violation of Security Council resolution 478 (1980). As the recent United Nations General Assembly (Dec. 2017) vote once again showed Trump’s decision went against the very spirit of finding a peaceful solution – the so-called two-state formula – to the decades-old problem. No wonder that the Palestinians see Trump’s declaration as the death knell to any peace process. They have said, and rightly so, that they won’t accept the USA as a mediator anymore to resolve the crisis. Trump has forfeited that privilege. These statements and resolutions, as well as many others adopted by United Nations bodies, international organizations, non-governmental organizations and religious groups, demonstrate the continuing determination of the international community to remain involved in the future of Jerusalem. They also show the great concern over the delicate status of the peace process and the unanimous desire that no actions be taken that could jeopardize that process. Since its birth, the Israeli plan has been to totally ignore international law, given the absence of any enforcement device, and to work hard to create facts on the ground, in the belief that sooner or later the international community, including the Palestinian leadership, would be forced to accept the ‘ground reality’ of the absolute lawlessness of ‘might is right’. So far, thanks to its powerful international backers wielding tremendous economic and political power, esp. the USA government and its ‘Amen Corner’ in the Capitol Hill, Israel has succeeded in its devious plan, but that won’t sanctify what is immoral, illegal, unjust and unfair. Jerusalem is important for adherents of the three great monotheistic religions. Her international status can neither be unilaterally declared by Israel nor blackmailed by any other state. Her heritage is as much, if not more, Islamic as it is Christian and Jewish. As the hallowed site of Isra and Mi’raj and the place of many Prophets (AS) of the Qur’an who walked and lived there, the world Muslim community can never abandon its heritage nor can they renounce their rights to it. As for the land, the Zionist occupation of it is accidental and came about because of the collapse of the Ottoman Empire, betrayal of regional Arab leaders, and weakness of Muslim post-colonial nation states. Who knows, things may change one day, and Jerusalem will belong to those who would uphold her sanctity and make it a true center of world peace and blessings! The text of the treaty read: “In the name of Allah, the Merciful, the Compassionate. This is the assurance of safety which the servant of God, Umar, the Commander of the Faithful, has given to the people of Jerusalem. He has given them an assurance of safety for themselves for their property, their churches, their crosses, the sick and healthy of the city and for all the rituals which belong to their religion. Their churches will not be inhabited by Muslims and will not be destroyed. Neither they, nor the land on which they stand, nor their cross, nor their property will be damaged. They will not be forcibly converted. No Jew will live with them in Jerusalem. The people of Jerusalem must pay the taxes like the people of other cities and must expel the Byzantines and the robbers. Those of the people of Jerusalem who want to live with the Byzantines, take their property and abandon their churches and crosses will be safe until they reach their place of refuge. The villagers may remain in the city if they wish but must pay taxes like the citizens. Those who wish may go with the Byzantines and those who wish may return to their families. Nothing is to be taken from them before their harvest is reaped.
. See this author’s essay on an explanation of the Biblical verse Malachi 3:1 in soc.religion.misc (1992); lecture on “Muhammad in the World Scriptures,” Swarthmore College, Pennsylvania, February 18, 1995.
. Islam, the West and Jerusalem by Walid Khalidi.
. The Donmeh are descendants of the Jewish followers of a self-proclaimed messiah, Sabbatai Sebi (or Zevi, 1626-76), who was forced by the sultan to convert to Islam in 1666. Their doctrine includes Jewish and Islamic elements. They consider themselves Muslims and officially are recognized as such.
. As to the de-Arabization of Jerusalem and its neighborhoods by Zionist terrorist gangs і Irgun and Haganah, see the report by Nathan Krystal where he says, At first the Haganah targeted the mixed neighbourhoods such as Romema, Sheikh Badr (the current site of the Knesset). Lifta. and the houses around the British Shneller military camp, and tried to pressure Arabs to vacate these areas through psychological warfare and by blowing up buildings on the pretext that they served as bases for Arab military actions. The bombing of the Semiramis Hotel on 4 January 1948 began the Arab exodus from Katamon and Talbiyeh. Concomitant with the Haganah’s campaign to clear Arabs from the Western neighborhoods was their settling by Jews. With the settling of Sheikh Badr by Jews, this area became an extended part of Romema and the entrance to Jerusalem from Tel Aviv had been successfully transformed into an Arab free zone. In mid February 1948 Arab villagers abandoned Beit Safafa, and residents – first of all the economically well off – of Talbiyeh, Musrara, Baq’a, Deir Abu Tor and Katamon started to leave. In contradiction to what is usually presented by Zionist historians, the Arab Higher Committee also called people to stay put in the Arab neighborhoods and not to leave. There was a pattern of collusion between the labor Zionist Haganah forces and the right wing Irgun and Lehi forces in the sense that the latter’s actions were usually condemned by the Haganah, but – at the same time – served Haganah aims (including the Deir Yassin Massacre). On 6 April 1948, the Haganah launched -Operation Nahshon designed to open the access road to Jerusalem which was then successfully controlled by local forces of Palestinian irregulars led by Abdel Qadir al-Husseini. Operation Nahshon resulted erasing of the Palestinian villages outside of the city (from Beit Mahsir in the west to Kolonia and Qastal in the east and was a watershed for the Zionist forces on the way to Jerusalem. Its counterpart in the city was the massacre of 254 Deir Yass’m villagers on 9 April 1948. The massacre immediately provoked a mass flight of Arab Jerusalem residents, particularly those who could afford to relocate quickly. Operation Jebussi (22 April – early May 1948) followed by Operation Kalshon aimed occupy the parts of the city the British had evacuated towards the end of its mandate in Palestine. These operations resulted in the occupation of Sheikh Jarrah, the American Colony, Bab al-Zahera, Wadi Joz, Deir Abu Tor, Katamon (1 May 1948) and Baq’a (16 May 1948). In his book, The Revolt Menachem, Begin wrote that without the massacre of Arabs in Deir Yasin there would not have been a State of Israel.
. http://www.bma-alqods.org/englishsite/jerus-48.htm see also the book – Jerusalem 1948: The Arab Neighbourhoods and their Fate in the War, ed. Salim Tamari, Institute for Palestine Studies.
. CAABU Fact Sheet: Jerusalem, September 2003.
. PBS Program, shown in 2005.
. See Le Monde, 15 October 1971 for the context.
. Garaudy, op. cit., p. 71. Previous articleIran: Here we go again?